Hi-fi Club in Leeds shows live comedy. The pub has DJ's, it has karaoke. Hi-fi Club has live music events. The pub shows football on TV, it has terrestrial TV. Blayds in Leeds has a function room that can be booked. The pub has an outside area, it shows live comedy. Blayds has DJ's. The pub has karaoke, it has live music events. 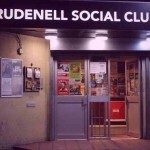 Jubilee Social Club in Leeds has a function room that can be booked. The pub shows live comedy, it has a dart board. Jubilee Social Club has DJ's. The pub has karaoke, it has live music events. Jubilee Social Club holds Poker Nights. The pub has a pool table, it holds quiz nights. Jubilee Social Club shows football on TV. The pub has terrestrial TV. 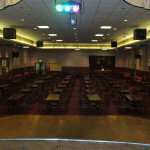 Burley Road Sports And Social Club in Leeds has a function room that can be booked. The pub shows live comedy, it has a dart board. Burley Road Sports And Social Club has DJ's. The pub has karaoke, it has live music events. Burley Road Sports And Social Club holds Poker Nights. The pub has a pool table, it shows football on TV. Burley Road Sports And Social Club has terrestrial TV. Irish Centre in Leeds has a beer garden. The pub has a function room that can be booked, it has an outside area. 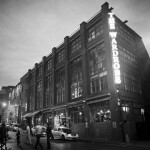 Irish Centre shows live comedy. The pub has a dart board, it has DJ's. Irish Centre has karaoke. The pub has live music events, it holds Poker Nights. Irish Centre holds quiz nights. The pub has a big screen, it shows football on TV. Irish Centre has Sky Sports. The pub has terrestrial TV. Edmund House Club & Institute in Leeds has a beer garden. The pub has a function room that can be booked, it has an outside area. Edmund House Club & Institute shows live comedy. The pub has a dart board, it has DJ's. Edmund House Club & Institute has karaoke. The pub has live music events, it holds Poker Nights. Edmund House Club & Institute has a pool table. The pub holds quiz nights, it has a big screen. Edmund House Club & Institute shows football on TV. The pub has Sky Sports, it has terrestrial TV. Beeston Hill Social Club in Leeds has a function room that can be booked. The pub shows live comedy, it has a dart board. Beeston Hill Social Club has DJ's. The pub has karaoke, it has live music events. Beeston Hill Social Club has a pool table. The pub holds quiz nights, it shows football on TV. Beeston Hill Social Club has terrestrial TV. East End Park Working Mans Club in Leeds has a beer garden. The pub has a function room that can be booked, it has an outside area. East End Park Working Mans Club shows live comedy. The pub has a dart board, it has DJ's. East End Park Working Mans Club has karaoke. The pub has live music events, it holds Poker Nights. East End Park Working Mans Club has a pool table. The pub holds quiz nights, it has a big screen. East End Park Working Mans Club shows football on TV. The pub has Sky Sports, it has terrestrial TV. 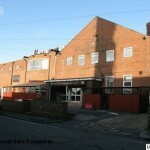 Rowland Road WMC in Leeds has a function room that can be booked. The pub shows live comedy, it has a dart board. Rowland Road WMC has DJ's. The pub has karaoke, it has live music events. Rowland Road WMC holds Poker Nights. The pub has a pool table, it holds quiz nights. Rowland Road WMC has a big screen. The pub shows football on TV, it has Sky Sports. Rowland Road WMC has terrestrial TV. Harehills WMC in Leeds has a beer garden. The pub has a function room that can be booked, it serves real ale. Harehills WMC shows live comedy. The pub has a dart board, it has DJ's. Harehills WMC has karaoke. The pub has live music events, it holds Poker Nights. Harehills WMC has a pool table. The pub holds quiz nights, it has a big screen. Harehills WMC shows football on TV. The pub has Sky Sports, it has terrestrial TV. 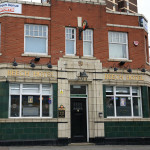 Harehills WMC is a member of Cask Marque. Harehills Conservative Club in Leeds has a function room that can be booked. The pub shows live comedy, it has a dart board. Harehills Conservative Club has DJ's. The pub has karaoke, it has live music events. Harehills Conservative Club has a pool table. The pub holds quiz nights. 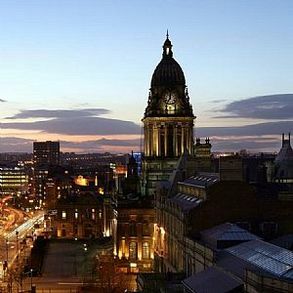 Denison Hall Club & Institute in Armley has a function room that can be booked. The pub shows live comedy, it has a dart board. Denison Hall Club & Institute has DJ's. The pub has karaoke, it has live music events. Denison Hall Club & Institute has a pool table. The pub holds quiz nights, it shows football on TV. Denison Hall Club & Institute has terrestrial TV. Harehills Liberal Club in Leeds has a beer garden. The pub has a function room that can be booked, it has an outside area. Harehills Liberal Club shows live comedy. The pub has a dart board, it has DJ's. Harehills Liberal Club has karaoke. The pub has live music events, it holds Poker Nights. Harehills Liberal Club has a pool table. The pub holds quiz nights, it has a big screen. Harehills Liberal Club shows football on TV. The pub has Sky Sports, it has terrestrial TV. New Burley Club in Kirkstall has a beer garden. The pub has a function room that can be booked, it has an outside area. New Burley Club shows live comedy. The pub has live music events, it has a pool table. New Burley Club holds quiz nights. The pub has a big screen, it shows football on TV. New Burley Club has Sky Sports. The pub has terrestrial TV. Hunslet Carr Sports & Social Club in Hunslet has a beer garden. The pub has a function room that can be booked, it has an outside area. Hunslet Carr Sports & Social Club shows live comedy. The pub has a dart board, it has DJ's. Hunslet Carr Sports & Social Club has karaoke. The pub has live music events, it holds Poker Nights. Hunslet Carr Sports & Social Club has a pool table. The pub holds quiz nights, it shows football on TV. Hunslet Carr Sports & Social Club has terrestrial TV.